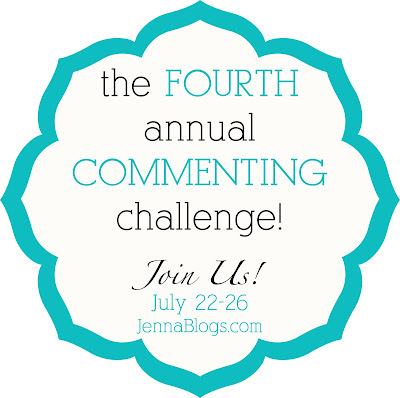 Jenna Blogs: DAY FOUR of the 4th Annual Commenting Challenge! 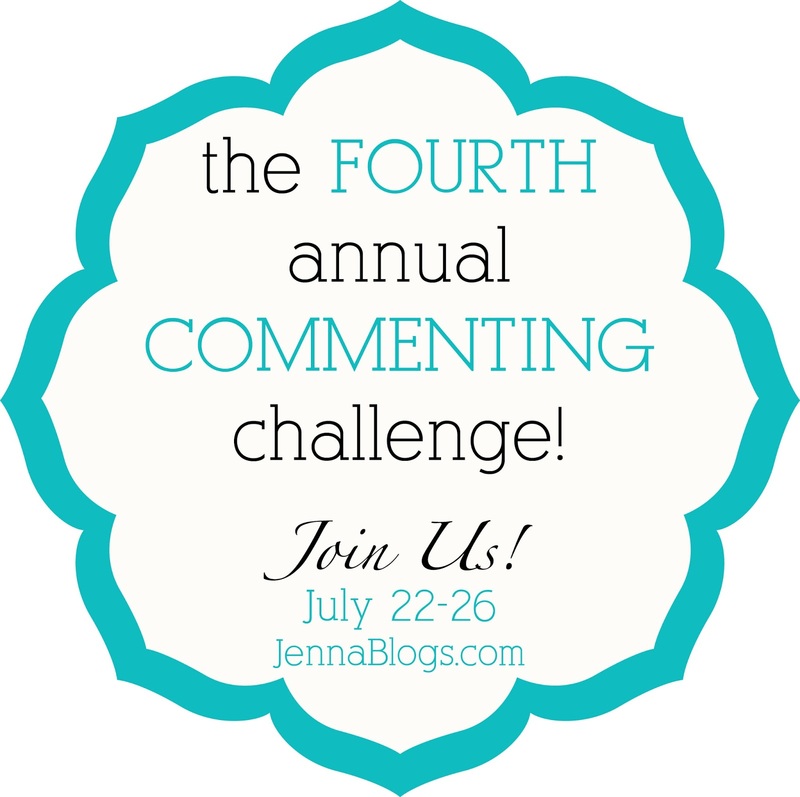 DAY FOUR of the 4th Annual Commenting Challenge! Welcome to Day 4 of the Commenting Challenge! It may be July, but who is thinking about Christmas gifts already? I know I am! Share some of your gift ideas for this upcoming Christmas season and/or share about the best gift you have received! I know some of you are thinking I'm crazy (and maybe I am) but I already have Christmas on the brain. It is my very, very, VERY favorite time of the year! I love decorating our home, baking TONS of goodies and of course, buying gifts! Also, I have listed over 300 stocking stuffer ideas on my blog! 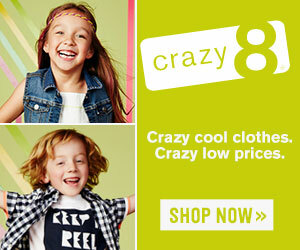 You can check them out here and here! What's your very favorite meal EVER? It can be home made, mom made, store bought, restaurant, etc. ~ Link your blog's main page, not an individual post on the linky. The linky is located on Monday's post only. ~ Link back to MONDAYS blog post on my blog because it will have the linky in it. Encourage your readers to join in my linking up there as well! ~ Write a blogpost for each day of the challenge. Remember, I'll be providing a topic each day, so if you don't have something already written, just use my prompt. Tuesdays prompt will be provided on Monday, Wednesdays on Tuesday etc so you'll have time to write them beforehand. ~ Comment on 10 blogs (more or less is fine to) per day. ~ If you find a blogger you love, add them to your blogroll, twitter, Facebook etc! ~ If possible, schedule your blog posts for 8am Central Time so they all go live together! 4th Annual Commenting Challenge: DAY THREE! 4th Annual Commenting Challenge DAY TWO!! 4th Annual Commenting Challenge: DAY ONE! First Trip to the Movies!